Even when I first became interested in photography and I was in my ‘photograph anything and everything’ phase there is one subject that I’ve never been particularly bothered about: wildlife photography. But, you can’t visit Iceland and not realise that there is something unusual about the Icelandic horse; they look, well, different. Before arriving in Iceland I had used Google image search to get an idea of the various sights worth seeing and there were quite a few of the Icelandic horses, including one particular one of a white horse. It was a head-on shot of the horse with parts of the surrounding field and its tail in the background. But it was too noisy for my minimalism-craving brain – too many visual distractions – and I found myself recomposing the image in my head. 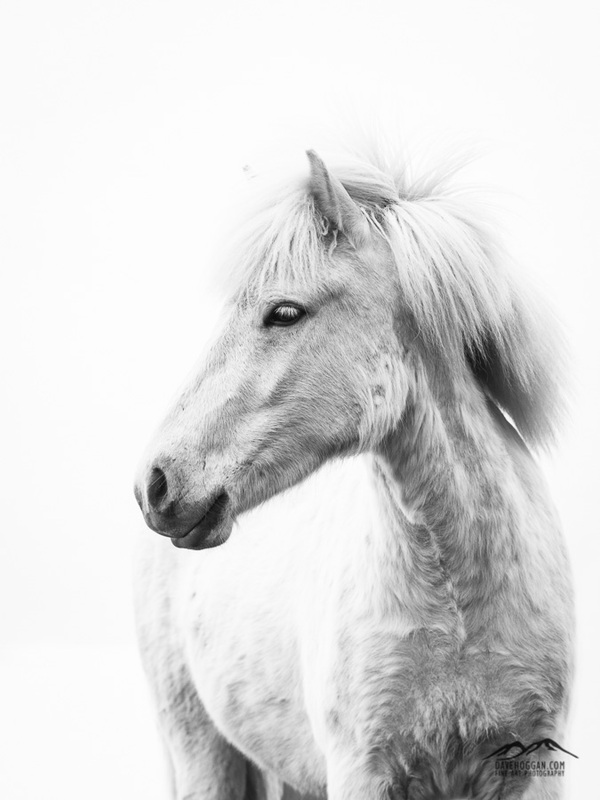 This horse was found just west of one of my most favourite places along the southern coast, Vik; the only white horse in a field of chestnut ones. It wasn’t difficult to get the horses to come close, presumably as they were curious to see if I had any food. What was difficult was to get this white one to come close and then stay interested long enough for me to lie down and capture him against the white sky. Volcanic regions do not need to be full of big, imposing mountains that threaten to rain lava down on the land. They can be small and delicate – more fragile than an eggshell. One such region is Dallol, Ethipoia. 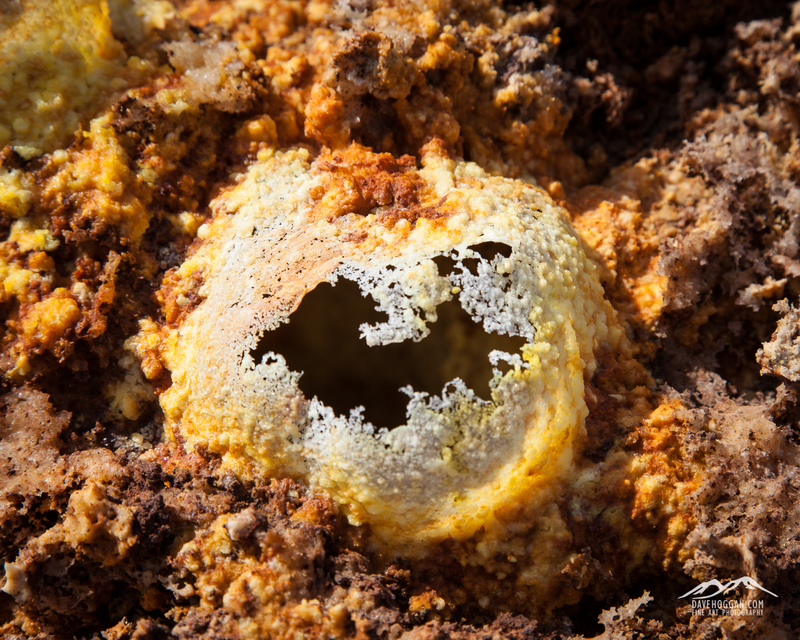 Dallol is a hot spring region where super-heated steam saturated with dissolved minerals explosively vents from cracks in the Earth’s crust. As the steam cools the minerals crystalise out and form beautiful – and exceptionally fragile – crusts. 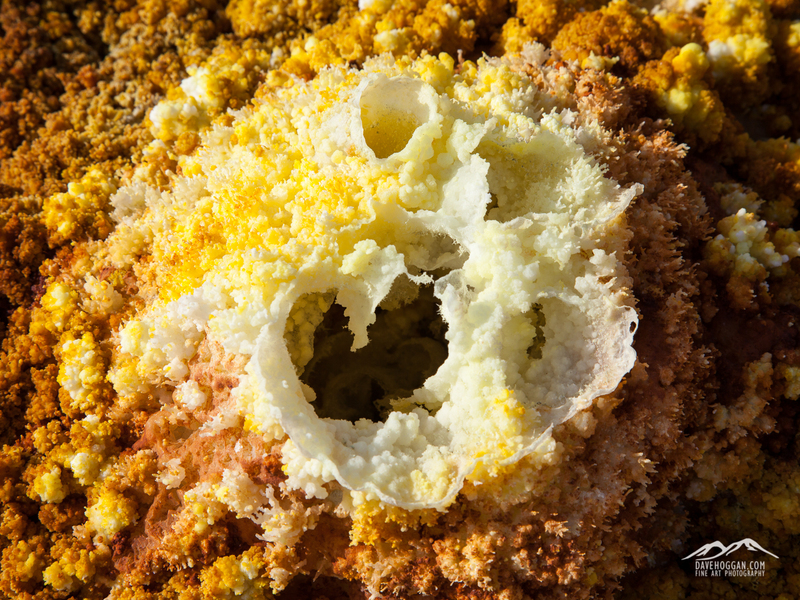 The crusts at Dallol are less than a millimetre thick and less than 15cm in diameter. Deception Island: Even the name sounds mysterious. You can’t be a proper movie super villain without having a secret base and if I were ever to become a super villain Deception Island would be mine. It sounds like a place straight out of fiction and already you may be thinking of pirates or smugglers or some other ne’er-do-wells. But no, it is a real place and one that happens to be one of my most favourite places on Earth. Whilst it is real, having been first discovered in 1820, it is hard to shake the thoughts of make believe, especially when you read more about it. First what we see as an island is really the top of an active underwater volcano with high cliffs on the shores making any attempt to anchor dangerous. At 12 kilometres in diameter you may even ignore it altogether but if you did you would miss Neptune’s Bellows, the only gap in the high cliff walls at a mere 230 metres across, created by a previous eruption, and leading to a secluded bay which, at 9km by 6km, occupies most of the inside of the island. Of the land that remains, over half is covered by glacial ice. Oh, and most of the entrance is filled by Ravn Rock that sits a mere 2.5 metres below the surface, waiting to wreak havoc on the hull of any passing ship. Yes, as a naturally fortified, evil-super-villian secret lair it will do very nicely indeed. Whilst I could have happily spent two or three days just wandering around you’ll likely only get about 90 minutes and so thankfully it is one of those places where you do not have to work hard to get good compositions, especially if you like working with minimalism and negative space. 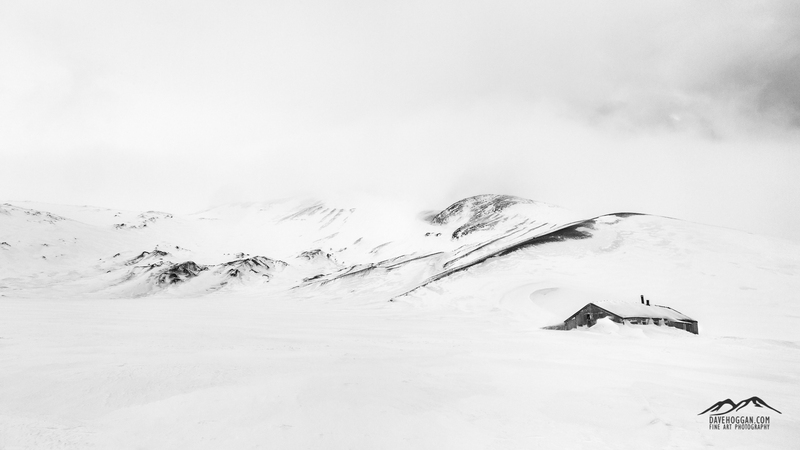 Even colour seems optional in a landscape dominated by black volcanic rocks and white ice and snow. You can read more about this wonderful island over on Wikipedia.